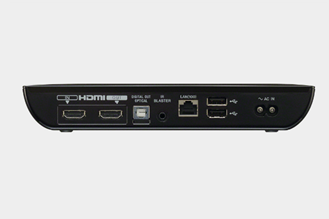 Here's a nice nugget of new for Google TV fans - we know you're out there. 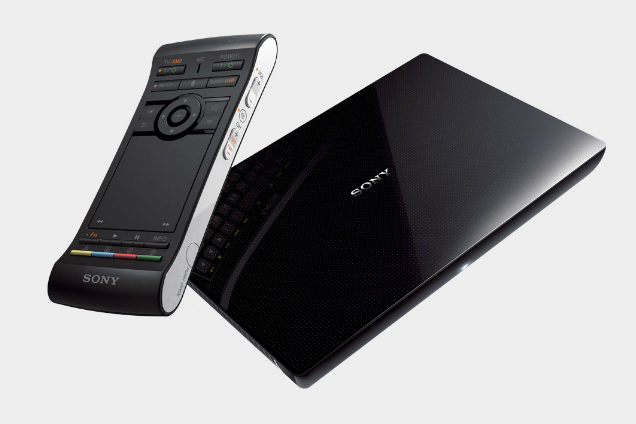 There have been rumors of an update to Sony's stylish NSZ-GS7 model (more colloquially known as the "Internet Player") for some time, and now they've made it official via the company blog. The NSZ-GS8 will be available for $199 starting in July, the online Sony store and the usual retail suspects. For the moment, Sony is selling the older model with a $30 discount, bringing it down to $169.99. So what's new about the GS8? Almost nothing. It's got the same hardware, the same capabilities, an almost identical build of Google TV. Sony didn't even bother to change out the press images on its website. For all intents and purposes, the Internet Player gets a single-digit change in its model number and a new lease on life. The only thing highlighted by Sony is the addition of a voice search function, accessible via the remote. (Note the little "MIC" opening in the photo below.) It's pretty much identical to the pre-Google Now Voice Search interface on Android. 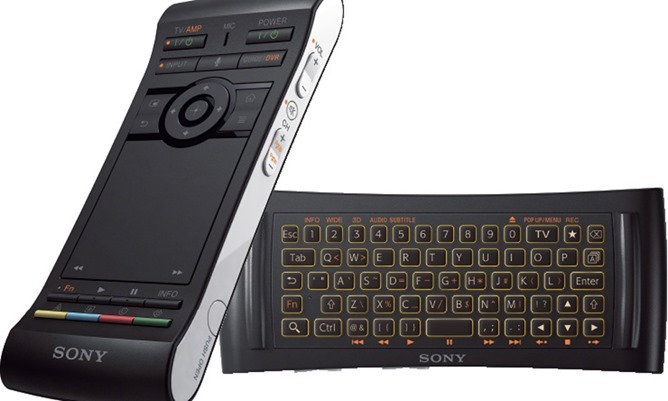 On the product page for the older GS7, Sony has added a blurb about voice activation, but notes that the NSG-MR7U voice remote (the one that looks like a TV remote on top and a Bluetooth keyboard on the bottom) must be purchased separately. It would seem that the microphone on the nearly identical remote for the NS8 is indeed the only feature added since the NS7. The NSG-MR7U voice remote is currently for sale in the Sony Store for $49.99, and explicitly states that it works with the older GS7 Google TV box.